​Believe it or not… This guy is practically a walking “sari-sari store” (… sort of a mini-grocery store on the go)! And he is doing the selling right along a major road artery in the Metro called EDSA! 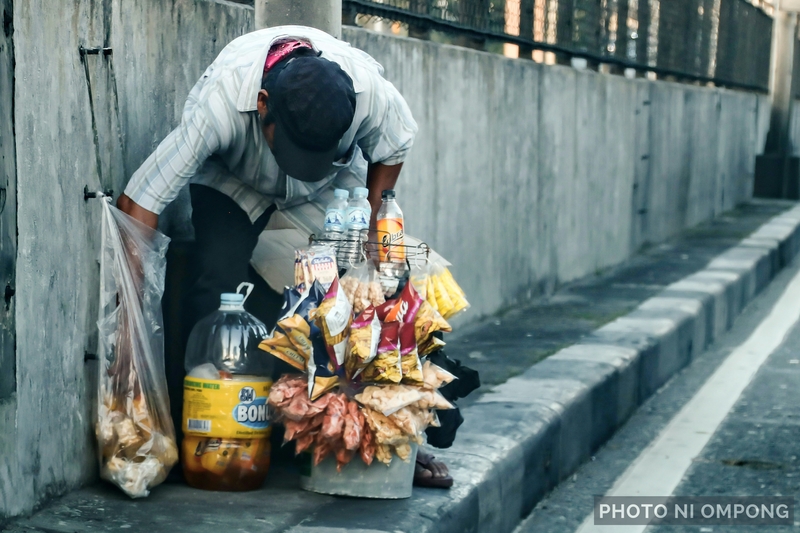 No worries… with our traffic situation at about 5kph or less during rush hours, these ambulant vendors are “technically safe” while they sell their commodities in the six-lane EDSA. Beautiful photo 🙂 Di madali yang paglalakad ni Kuya sa highway dala ang mabigat na paninda. More and more energy and power po! Tatak Pinoy! At first I thought you put ‘a’ by mistake, so he was walking, but a walking grocery store! Very interesting.